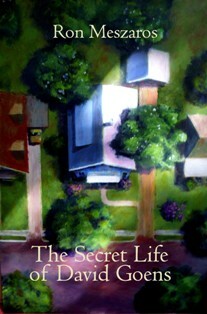 Set in Fairhope, Alabama, this fascinating novel, The Secret Life of David Goens, fulfills the definition of the root word: new, unusual, strange. This is the first novel of intriguing woven patterns of characters and events by an instinctive, meticulous, extensively knowledgeable writer. The remarkable first chapter was not crafted to seduce the reader with a quirky beginning or suffocate him with description. It is simply the minimal but insightful delineation of David as a loner with typical “only child” characteristics who is fiercely single-minded in his dedication to exploration and discovery. The reader discovers the patterns of the child in the thirty-two-year-old man, who through either parental lack of attention or neglect missed out on the necessary parental attachments for secure bonding love. But David has a love. Because he found a way to do as he pleases, he concentrates on his love of archeology. A secretive, object-directed child, he avoids the companionship of other boys in order to eliminate interference and competition with his pursuits. By eliminating boys, he also incidentally eliminates girls who are attracted to boys. By-passing the association with pre-pubescent boys he misses the “chum stage” which many psychologists believe is necessary for psycho-social and psycho-sexual development. After high school this adolescent super-achiever trains his sights on becoming a professional archeologist. After having “engaged in several academically acclaimed digs,” and reached the identified goals on his horizon, he has had enough and changes careers. He enters the seminary and becomes a youth minister. In this new venture he revisits the missed milestones of his adolescence in his meeting Sonya, an adolescent girl striving to become a woman. A deft and brilliant move by the author. While David pursues his goals with Sonya in the same modus operandi as his dedication to archeology, Sonya, more interested in her femaleness and personality, brings David step by step through the emotional levels of friendship and finally to full manhood, love and mature partnership. When David intermittently returns to his need to explore below ground there is an interesting parallel between his findings and the discovery of himself. At the climatic point in the novel the author could have chosen to permit David to return to his juvenile patterns of searching and employed an easy, hackneyed ending. Instead he achieves a more heroic one, consistent with his allegorical drama worthy of his characters. There is an extra dividend for the reader. By seeking to understand the reasons for David’s commitment to solitary searching, the reader may recall his own motivations for developing the patterns for reaching his goals. Jule Moon’s latest book is Sherds.